Lady Gaga: Scaring Us and Amazing Us All The Time! I’ll be honest, I could personally care less about who won the Super Bowl, however, congratulations to the Denver Broncos! I was truly rooting for no team being that I only turn on the Super Bowl to watch the National Anthem and the half time show. Can I just say two things? Number one, Lady Gaga’s impersonation of Effie from The Hunger Games was fantastic and number two, that woman will always amaze me! Lady Gaga’s National Anthem performance was dare I say, ‘off the chain!’ She sent chills up and down my body from the moment she started to the second she ended and the fighter jets flew over the stadium. Her National Anthem performance is one that will be absolutely hard to beat in the coming years! Did you miss her performance? Check it out here! 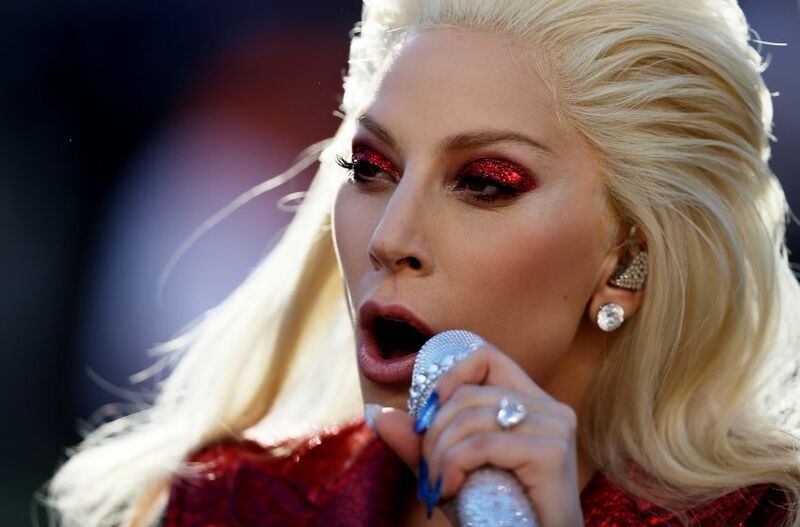 What did you think of Lady Gaga’s performance? Amazing? Not a fan? Leave a comment below! Also, if you haven’t already please feel free to check out our new store by clicking here! Previous Super Bowl Party: Food Necessities!